Ravi Chand Chief People Officer at the Department for International Development (DfID). Ravi is the Chief People Officer at the Department for International Development (DfID). He has responsibility for People, Operations, IT and systems, Estates and change. 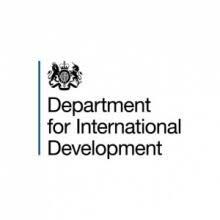 DfID operates in 32 countries. He chairs the Civil Service Attract and Retain design authority overseeing the implementation of Success Profiles (moving away from competency only selection), CS Recruitment Web pages and Recruitment Platform for Government with a new ATS. Previously he was the HR Director at HM Revenue and Customs with responsibility for Workforce Management of its 69,000 staff. He led the work on reforming the workforce to deliver the departments’ blueprint ambitions for the future. This included the people transformation activity from closing 170 offices and creating 13 large regional hubs and 5 specialist sites across the UK. He Chaired the HMRC Workforce Management Board, and the SAP Success Factors Programme Board. Before that he was the director responsible for Capability, Talent and Diversity at the Home Office where he spent 8 years supporting the Executive and Ministers on a range of people and stakeholder issues. Prior to that Ravi worked as a Managing Consultant with a large search and selection consultancy owned by a FTSE 100 company. Whilst in the private sector he recruited and coached CEOs and Directors for public and private sector organisations. Ravi has sat on a number of Boards, including work as a nominated Commissioner, appointed by the Home Secretary, to lead the Formal Investigation into the Police Service in England and Wales. Having served as an operational front line police officer, which included a number of challenging roles, spanning 14 years. Other roles included the advisor on equality issues both in the UK and abroad, and the delivery of leadership seminars in both the public and private sectors. Ravi is a Fellow of the Chartered Institute of Personnel and Development. He was recognised in the Honours List in 2002 with the Queen’s Police Medal for distinguished service and in the Queen’s New Year’s Honours List 2011 where he became a Commander of the Order of the British Empire (CBE).